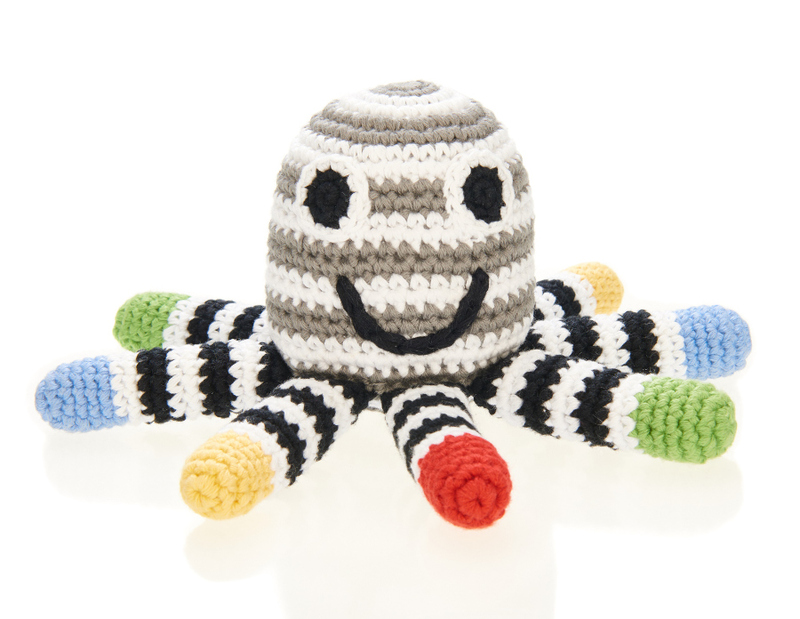 Babies of all ages will adore this octopus shaped rattle. Its lovable face is sure to delight and the noise it makes will keep your baby calm and amused. This cute little rattle is suitable for child from birth; made by hand with care to keep it fun and safe. The rattle is made in the UK with fair trade labour and 100% BPA free. 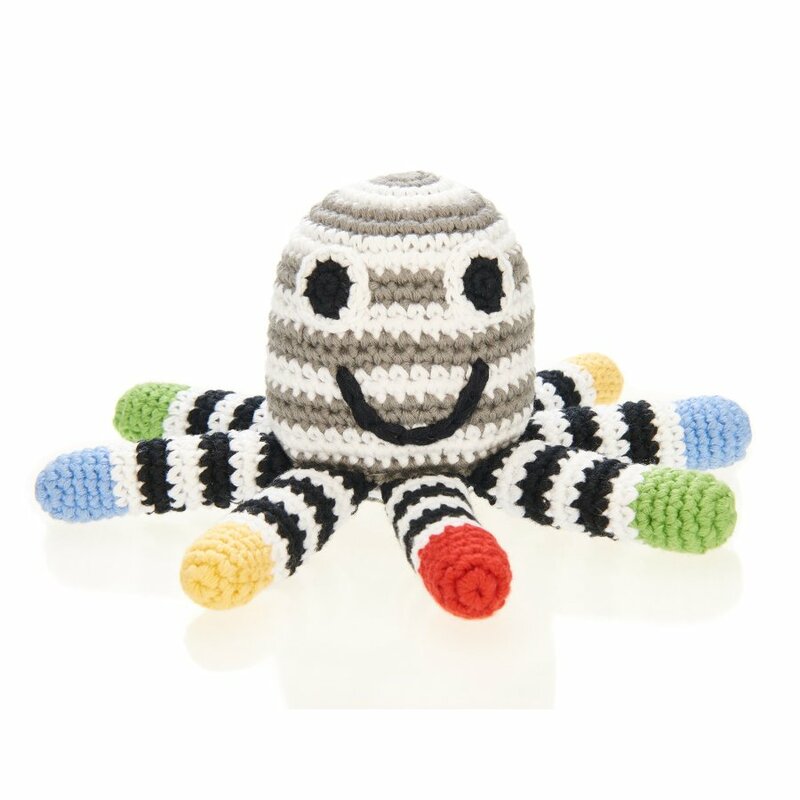 There are currently no questions to display about Fair Trade Octopus Rattle - Black & White.